This is a new design by Vera, my 11 year old daughter and part of the Norwegian series. 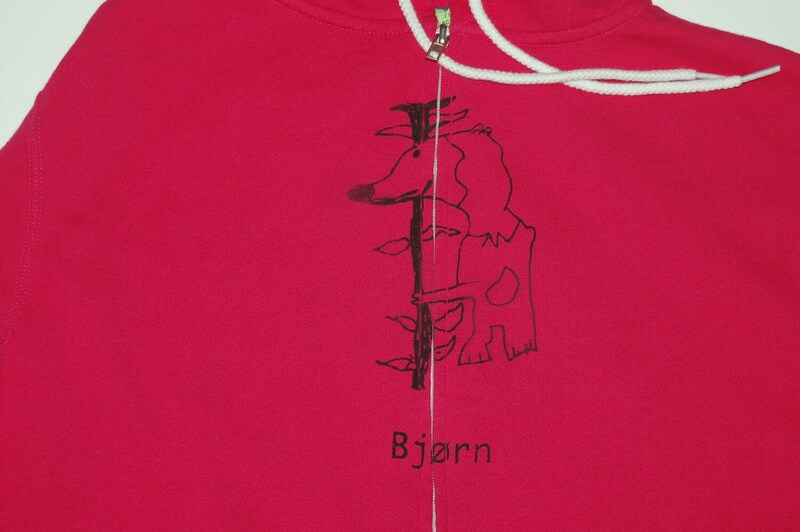 Bjørn is Norsk for bear. The size is an adult medium in pink. 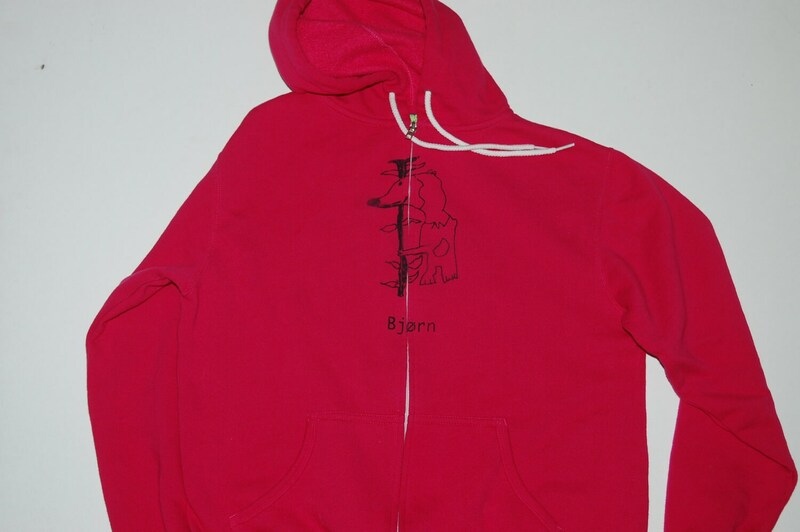 It is a little lighter weight than the other hoodies I use and slightly more form fitting. The silkscreens are hand-pulled by me. This price is only for the item listed that is already printed in order to reduce inventory.